Automotive repairs and maintenance are a necessary evil when it comes to car ownership. It can be one of the most frustrating aspects of owning a vehicle. However, it can be a little less stressful if you have a good mechanic who does great work, in a reasonable time frame at a fair price. However, it can be very difficult to find a mechanic that you can trust. 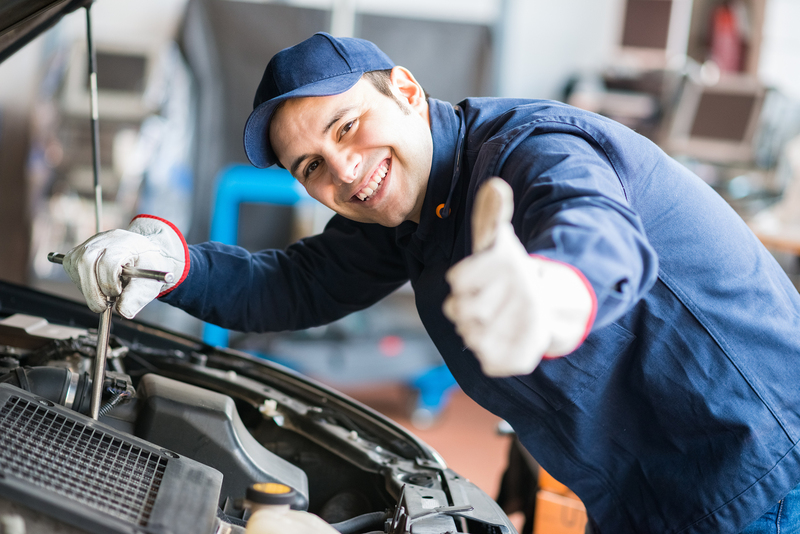 Therefore, we have decided to dedicate this article to highlighting some tips to find a great mechanic, continue reading to learn more. You don’t want to find yourself in a situation where your car breaks down and you don’t know of a good mechanic to call. This will cause you to call a random mechanic who may or may not do good work at a fair price. Therefore, we recommend finding a great mechanic before you actually need one. That way you’ll know exactly who to call the next time that your car is in need of repairs or maintenance. When you first start going to a new mechanic, we recommend starting with small routine service or repairs and letting them earn your business. Things like tire rotations, brake pad replacements or oil changes are all small routine things that you could take your car in for. If they do a good job with that, then you can bring them major repairs. If not, you’ll know not to go to that mechanic again. Read More: What are Some car Buying Tips for new College Graduates? The internet has made it easier than ever to do research and find a good reputable mechanic. Look for online recommendations and reviews on website such as Yelp and talk to friends and family about the mechanics they have visited and the experiences that they have had with them. This entry was posted on Wednesday, June 15th, 2016 at 10:06 am	and is filed under Tips and Tricks. You can follow any responses to this entry through the RSS 2.0 feed. You can skip to the end and leave a response. Pinging is currently not allowed. I liked your suggestion to do the research necessary to find a good mechanic before you are in need of repairs. This makes sense to me since I’d imagine it would help ensure you find the right mechanic while also decreasing any amount of stress associated with needing repairs on a car. I’ll definitely be sure to do this so that I have someone on hand in case my car ever needs emergency repairs. I do like your advice to be prepared for the worst and have a mechanic’s number ready when you’ll need it. That’s great because there’s nothing better than to be faced with an obstacle with you being ready to face it. I’ll be sure to look into the BBB’s site later to see if there’s any reliable auto service in our new area that can be called in times of needs. Thanks! In my point of view, we could find a good mechanics by some research. We could do some research on the internet about different car repairing center of that particular region and could compare the price of their service and could choose a suitable repairing center. It is always recommended to choose a repairing center which has technically best and certified technicians. My car is making this weird squeaking sound whenever I press on the brake, and I think that it is probably a sign that they need to be changed. One of the things that you said that I really like is to try out a mechanic by having them do a little fix like a brake replacement or a tire rotation. My problem is just that, so I’ll have to find a car repair place to go to who I could start a long-term relationship with. Yes i agree, with the concept that finding a good mechanic, before actually you need it, is a good initiative for your car. A car owner should start finding a technician from the day he planned to buy a car. Because no one want to find himself in a situation where his car breaks down and he don’t know of a good mechanic to call. Without any option in this situation you call a random mechanic, who may not provide you a proper service as well as may charge you some extra bucks. Therefore it is suggested to find a trusted and able mechanic who can performance car servicing according to your wish and need. That way you’ll know exactly https://roninautowerks.com/contact/ who to call the next time that your car is in need of repairs or maintenance. I like your suggestion to do a lot of research on the internet and choose the best repairing center of that particular region. We could also ask our friends and family members, whose guidance could be very useful for us. However, internet is the best source to find a reliable repairing center which provides their service at an affordable price. We could visit their physical address and could ask them a lot of question in order to evaluate their reliability. I like how you suggest looking for a mechanic before you actually need one. I think this would be helpful since it would give you plenty of time to check a mechanic’s qualifications and references before taking your car to them. I’ll be sure to do this so that I have a good mechanic on hand in case my car ever breaks down and needs work. Thanks for the tips for finding a good mechanic. We just moved, so we want to find a place to take our car for repairs. I’ll be sure to find someone now, before something actually happens to our car. I appreciate how you said that an auto service should also have trustworthy mechanics. I also like how you said that they should offer reasonable prices. My husband and I are looking for a good auto service to our a new transmission in our family Nissan. I really like what you said about finding a good mechanic before you actually need one so that you’ll know exactly who to call the next time that your car is in need of repairs or maintenance. That’s something that I have been trying to do lately, is finding a good mechanic that I can have on hand when I need him. Hopefully, I can find a good auto repair service that is very flexible. My wife and I are looking for a new mechanic in town ever since moving, so thanks for sharing this. I like your point about getting a small service done on your car first. I’ll have to try this so I can determine their skill level and pricing based on the repair. I love how you suggest taking the time to find a mechanic before you are in a situation where you desperately need one. I’m sure doing so would be helpful since it would give you plenty of time to properly research a mechanic before using them. I’ll keep this in mind in case my car breaks down and needs repairs so I can be prepared for the future. I really like your tip to let a mechanic do smaller tasks like tire rotation before you let them do bigger repairs. That way you can get an idea for their competence level. My wife and I recently moved into a new house, and we are nowhere close to our old mechanic. I will be sure to do small repairs around town and find a mechanic that I trust! I think it is fantastic that the article recommends hiring a mechanic before you need one. After all, when your car is broken down you are more likely to just choose the first car repair shop that you can find. However, by taking your time and choosing one in advance you can have enough time to make sure that they are reliable and credible. find out a trustworthy Shop?Thanks For sharing. My husband has noticed that there is a weird rattling noise when he starts his car. I’m wanting him to get this checked out as soon as possible and we need to find the right mechanic. Thank you for suggesting that we should make sure and use the internet and do some research. I’ll have to keep this in mind as I search for the best mechanic in our area. It makes a lot of sense that I should start looking for an auto repair shop now before I need one because this way I will have the time to compare prices and services of different companies. Plus, once I do need to get my car serviced it will not be stressful because I will know who to call! I will make sure to start doing my research now by looking at client ratings and reviews of different shops to see if they provide quality repairs and good customer service. I love how you mentioned that one should look for a mechanic before they need repair, as it will help someone already have a trusted individual to help in emergencies. My little brother’s car is rather old, so he may need to get it worked on soon. These tips could help him find a great mechanic, so thank you for sharing. I agree that you want to make sure to find a mechanic before you actually need them. This would give you more time to do some research and find out about the mechanic as well. My husband’s transmission has been acting strange recently, so we’ll have to do some research before choosing a mechanic to fix it. There are many ways where you can easily find a good mechanic for your car. I recommend you to simple enter your place name internet directories and then you might able to find those car mechanics. Contact them online or you can find them searching on your nearby areas. Get the trusted references before hiring them. Yes there are a lot of mechanics in the market. but when I want trustworthy, its hard to fined them. your advice is pretty useful thanks for sharing.